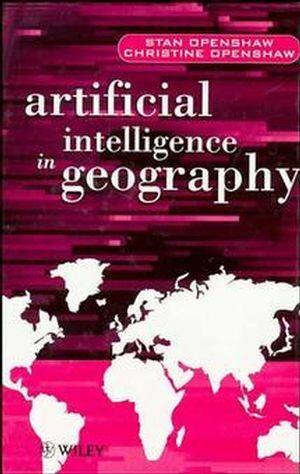 This unique work introduces the basic principles of artificialintelligence with applications in geographical teaching andresearch, GIS, and planning. Written in an accessible,non-technical and witty style, this book marks the beginning of theAl revolution in geography with major implications for teaching andresearch. The authors provide an easy to understand basicintroduction to Al relevant to geography. There are no specialmathematical and statistical skills needed, indeed these might wellbe a hindrance. Al is a different way of looking at the world andit requires a willingness to experiment, and readers who areunhindered by the baggage of obsolete technologies and outmodedphilosophies of science will probably do best. The text provides anintroduction to expert systems, neural nets, genetic algorithms,smart systems and artificial life and shows how they are likely totransform geographical enquiry. * Stan Openshaw is one of the world s leading researchers intogeographical computing, spatial analysis and GIS. Stan Openshaw is a retired British geographer. His last post was professor of human geography based in the School of Geography at the University of Leeds. After eighteen years at Newcastle University, including three years as professor of quantitative geography, he moved to work in Leeds in 1992. Christine Openshaw is the author of Artificial Intelligence in Geography, published by Wiley. A Brief History of Artificial Intelligence. Expert Systems and Intelligent Knowledge-based Systems. Evolutionary Computation, Genetic Algorithms, Evolution Strategiesand Genetic Programming. Fuzzy Logic, Fuzzy Systems and Soft Computing.